Book me for a private lesson, group class or workshop in Bollywood or Indian Fusion Dance, West African Dance or Drumming (djembe and dun dun). Learn the basics, improve technique, or hire me to create a custom choreography for you and/or your friends to perform at an event or to use as part of your ongoing dance practice. Co-create a custom workshop for your friends, colleagues in dance or drum. These private and semi-private lessons will take your skills to the next level and offer a more intimate and tailored experience for all. 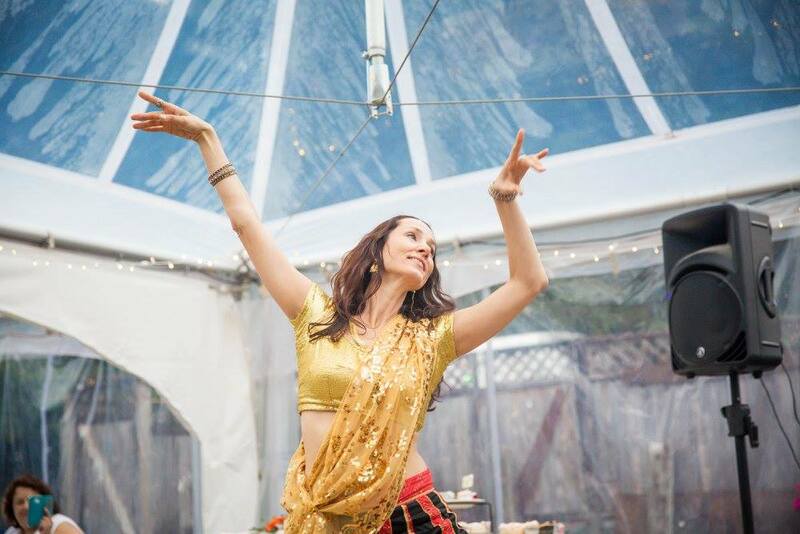 Add color, flair, fun and flamboyance to your next special event with Bollywood and Indian Fusion Dance! We are available for private parties, festivals, special corporate events and more. Enliven and enlighten your guests with joyful music and dance from India and beyond. Past Performances include: Diwali Celebrations at Simi Valley Mandir and Hamsa Studio in Ojai, Yoga Gives Back Annual Fundraiser in Malibu CA, Beth Amine Belly Dance Showcase at the Wild Cat Lounge in Santa Barbara, Tribal Arts Festival and LBL and Panzumo Showcases and Concerts over the past several years in SB.